Our programme of events for the first half of 2017 is now available. We have some really exciting events coming up this year including our annual Goodall Symposium which will celebrate a very special medical milestone – the 150th anniversary of the publication of Joseph Lister’s ground-breaking article on antiseptic surgery. There’ll also be the chance to learn more about our digitisation project “Uncovering our Medical Instruments”, and our beautiful College Hall will house a unique pop-up art installation as part of Festival of Museums. Download our programme (7MB) to find out more. Events programme January – June 2017. The image of catgut ligature used on the front of our events programme is a nod to our Goodall Lecture, Safer Surgery – the Lasting Legacy of Joseph Lister in June 2017. 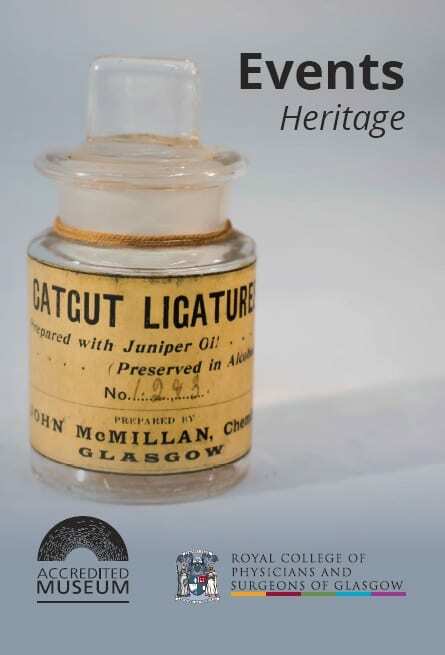 In addition to samples of catgut ligatures in our museum collection, our archives contain correspondence between Joseph Lister and William Macewen, on the preparation and use of catgut. Both had articles in the British Medical Journal of 1881 (i, 150, 185) detailing the development of this material as a key component of antiseptic surgery.